Are you going to Indietracks for the first time? I did last year and found it a real pickle to work out how to get to Golden Valley Campsite on public transport. When you get off the train at Derby station, do not wait at the bus stop directly outside. That is the WRONG place to be. You need to turn right and walk down towards Derby bus station. It is about 10-15 minutes walk. Once you reach the bus station, you're looking for the H1 bus towards Alfreton Bus Station. There's only one an hour that stops at the campsite so be sure to check the timetable. Get on it and squeeze your camping stuff on board. A single ticket is £4.20 so you should probably get a Plusbus ticket with your train ticket. You'll need to get off at a stop called 'Golden Valley Caravan Park'. Sadly, the bus stops are not very clearly marked and you can't see the campsite from the bus! So look out for an old derelict building called 'Newlands Inn' on Newlands Road. When you see it, get off the bus. You'll see a little lane coming off Newlands Road. Walk up there and you'll see the campsite. Just go in to the wooden building to find the site reception. To get to the festival site from Golden Valley, do a left out of the campsite. Follow the path along until it turns right. Turn right and keep going. You'll feel like you're in the middle of nowhere (clue: you are). Then you'll come up to a car park and you'll see the entrance to the festival site, plus a load of trains. It seems like a stupidly long walk the first time but is actually only about 15 minutes. The main entrance to the site is via steam train from Butterly Station. This is a bit of a detour from the campsite but totally worth doing at least once during the festival. Instead of turning right towards the festival, carry straight on. You will go past some fields and a police base (!!) before reaching a new-ish housing estate. Keep going until you reach a main road. Do a right here and you'll see Butterly Station. Alternatively, turn left and head into Ripley for some shops and cafes. Enjoy, and I'll see you at the Indiepop sing a long! I've recently discovered the joys of oat baths. They sound as lame as hemp pants but actually are very relaxing and give you lovely soft skin. 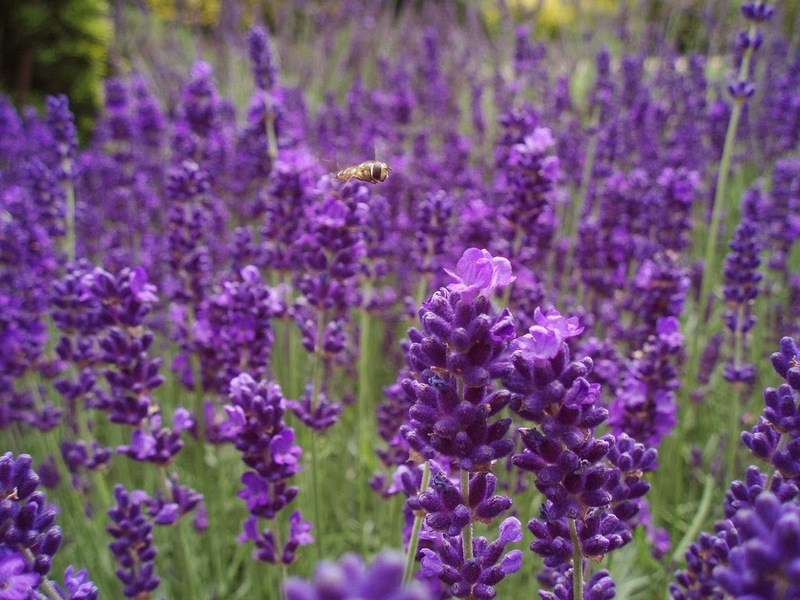 They're also practically free and only use natural ingredients, so there's no nasty chemicals for your skin to handle. 1. Cut a foot off your tights, or find your sock/muslin square. 2. Fill the foot with a cup of oats. 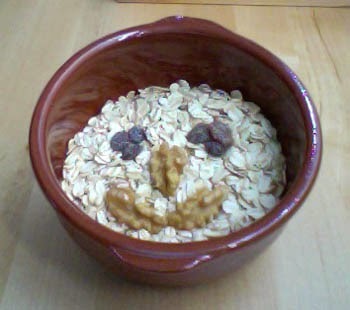 Your standard porridge oats are fine for this. 3. Add some lavender heads, dried flowers (maybe rose petals?) or a few drops of essential oil. Please check these are safe to be used on skin before you go ahead - a quick google is a lot less hassle than dealing with a nasty rash. 4. Secure the top of your tights/sock with an elastic band or hair band. 5. Start running a nice warm bath and put your bag of oats away from the tap end. 6. 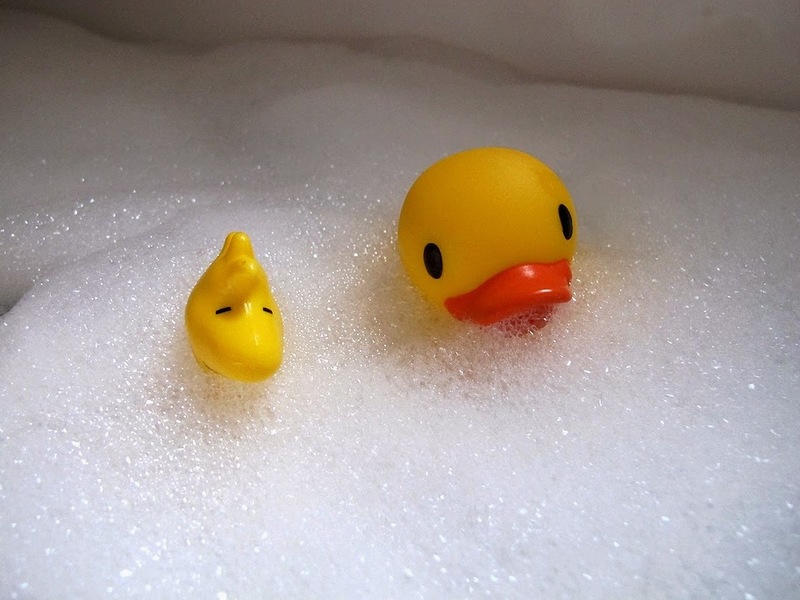 Come back when the bath is full, get in and enjoy! Squeeze the bag gently to release the oaty goodness. I've been enjoying some fun little crafts over the last few weeks. 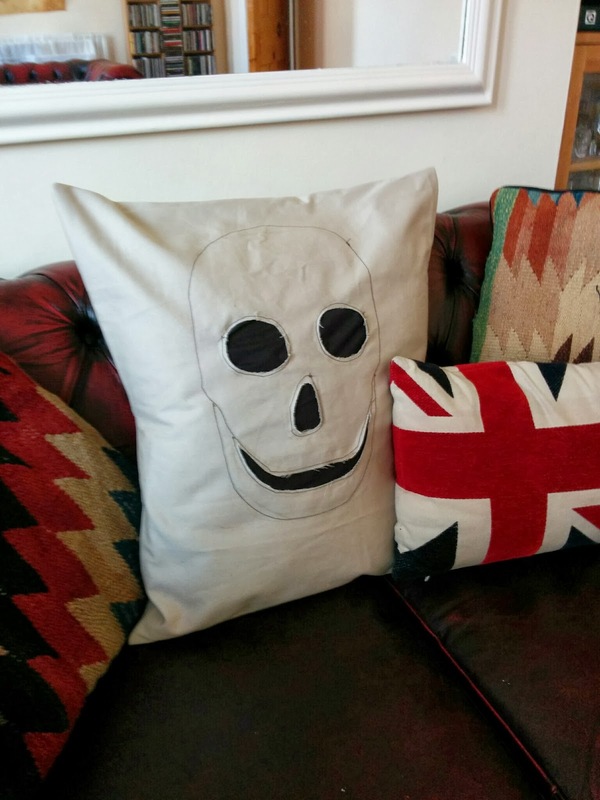 There's no tutorial for this skull cushion as I basically made it up as I went along. The fabric is an off cut of an Ikea curtain. I drew the skull on freehand in pencil and embroidered it on with my sewing machine. Then I cut out the holes and reverse appliquéd the black material on. Probably not the quickest method but it turned out pretty well! It is a shame that cushion covers are so easy to make as I really don't need any more cushions in my house. I'm all cushioned out. The Burning Hell are evidence that Canada is not the musical wasteland it is sometimes thought to be. 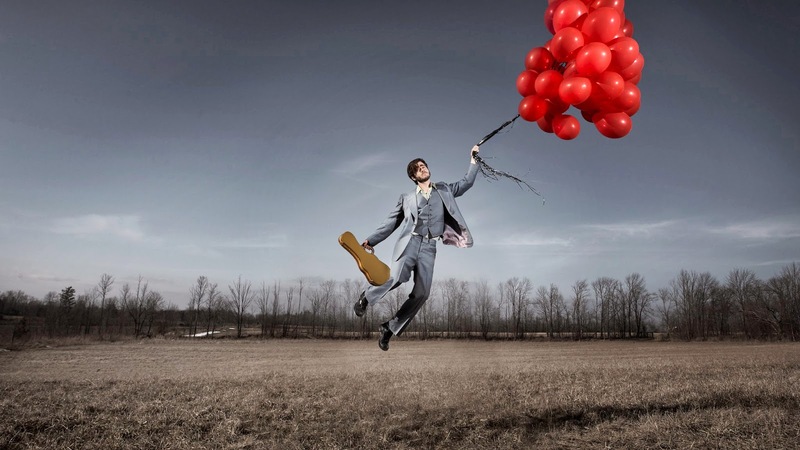 The band is primarily made up of musician Mathias Kom, who is joined by various contributors apparently whenever he sees fit. Maybe my tastes are slightly peculiar but I really enjoyed this video; a dissection of a two headed calf. Don't watch if you're squeamish. Follow The Brain Scoop for more cool stuff! Finally got my act together and started on making sour dough bread. This starter recipe seems to be doing the trick. It is a bit like having a very quiet pet. This skull bottle may well be making its way into my drinks cabinet. 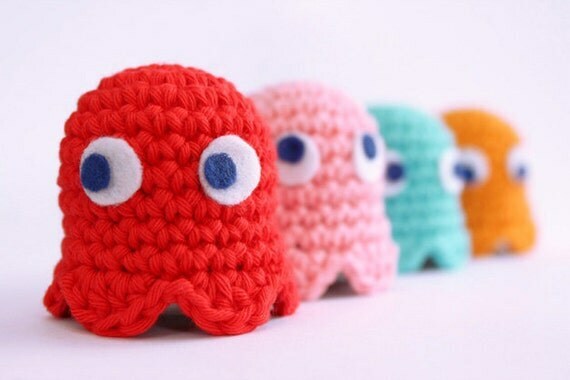 These crocheted pacman ghosts are kinda pointless but I like them anyway. Scroll down and enjoy the colourgasm. Have you ever seen a chicken beauty pageant? These monster frogs are intriguing and strangely pretty. This band are so good you would barely guess they are Australian! Their folky indie sound is right up my street and sounded as perfect on a cold February in Shoreditch as it would on a sunny festival afternoon. There have been some accusations of them sounding like Mumford & Sons which I choose to ignore, preferring to compare them to Noah and the Whale. I love love love this dress which is down to £15 at Joy. I'm not sure how many bright blue dresses a girl needs but I already have 3. 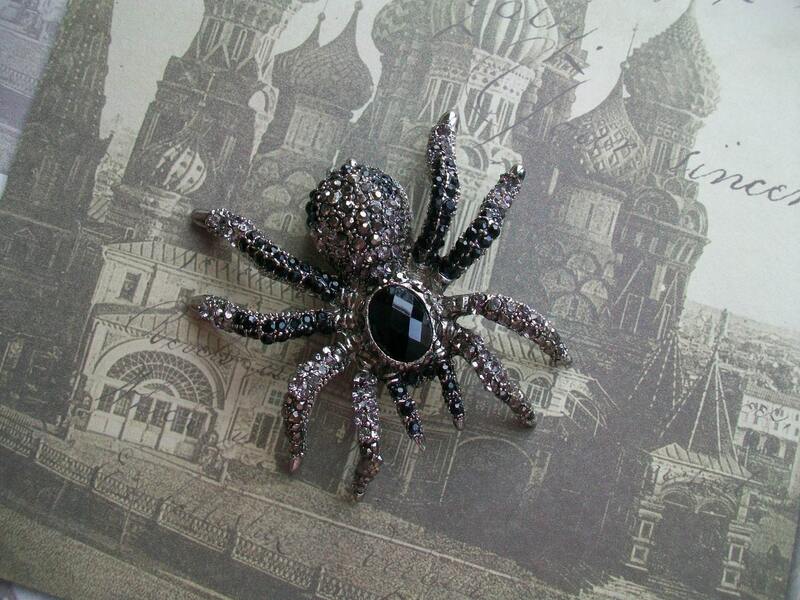 I've been searching for a spider brooch for ages, and this one is super cool. 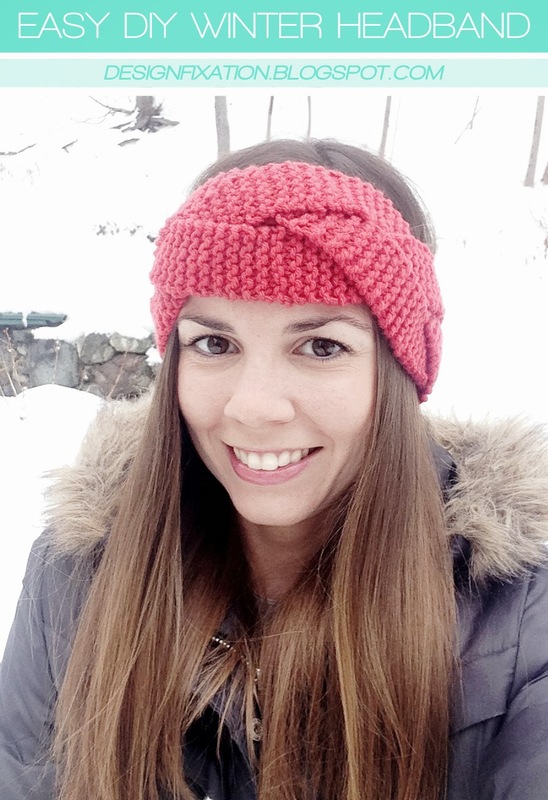 I've been working on making this headband in a pretty turquoise wool. It is taking forever though as I'm very slow at knitting and my needles are pretty skinny. Got a whole set coming in the post though. If you run a website or blog of any kind, this post about free image resources is indispensable. 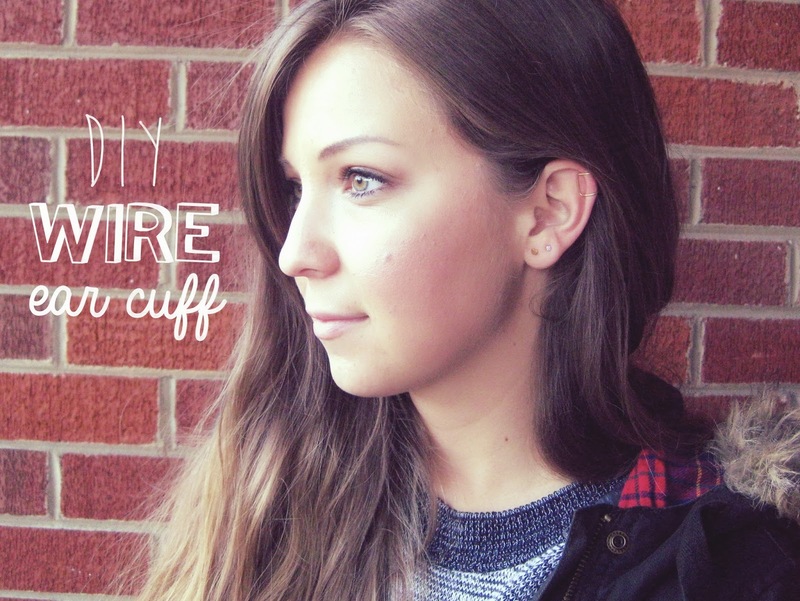 These DIY ear cuffs are totally on my crafting to do list. I recently went to see Speedy Ortiz at Birthdays in Dalston. The venue is a bit of a hell hole if I'm honest; boiling hot, over priced beer, crowds of hipsters and mediocre acoustics. Also, being 5'1" I am used to not seeing much at gigs. But when friends a foot taller than me can't see the stage across a tiny room, there's got to be something wrong! Anyway, Speedy Ortiz are a grungy female fronted American indie band. I wouldn't typically say I'm a fan of grunge but having given both albums a fair few listens I'm starting to change my mind. They do actually do a pretty good job of playing live - despite the problems with the venue and feeling exhausted that evening, I actually really enjoyed seeing them. Last week I combined two of my favourite things with a good cause. To mark the launch of a new phase of Save the Children's No Child Born to Die campaign, Make Thrift London hosted a swishing event! 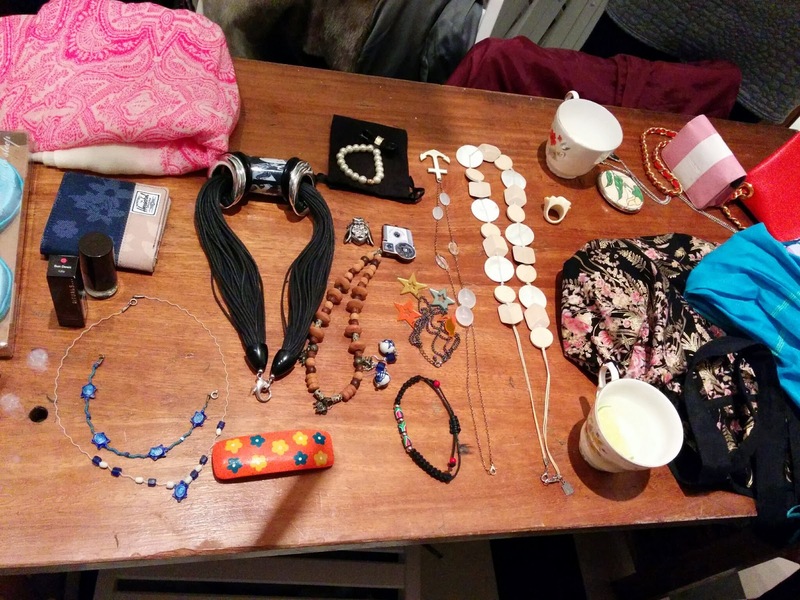 We each brought along at least 3 accessories that we no longer wanted, laid them out on a table and proceeded to swap goodies. Swishing treasures waiting for a new home. I'm rather pleased with my finds; a sparkly insect brooch, a 'hand' necklace, a little leather bracelet and a colourful bag. We also enjoyed some delicious gin cocktails and cup cakes, handmade by Daisy, while we learnt about Save the Children's work. Around the world, 1 million babies die in their first day of life and 2.9 million die in their first month. Many of these deaths are totally preventable, so the campaign is for all babies to be born with the support of a midwife by 2025. That kind of change won't come about over night, so the charity are asking world leaders to commit to a 5 point Newborn Promise plan to make it happen! You can sign a petition asking David Cameron to get involved. Have you ever been swishing? Would you swish for charity? 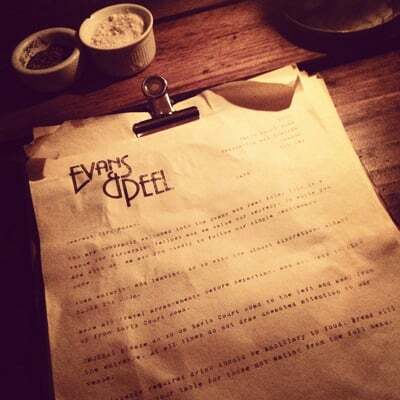 Last weekend I was lucky enough to visit Evans & Peel Detective Agency, a fancy bar in Earl's Court. I'm not usually a fan of themed pubs so I was a little sceptical about making the trip across London. Fortunately it was well worth it. Evans & Peel is a quirky delight! Hidden behind an unassuming side door, your detective experience starts with an interrogation about the misdemeanours of a member of your party. In my case, the birthday boy was accused of having indecent images and using them to blackmail people! Then the fun really begins with an extensive cocktail menu and a range of smoked bar foods. We shared a platter of mini burgers which turned out to be surprisingly filling and attempted to work through the list of cocktails. We didn't manage to try them all but I did enjoy a delicious beetroot based number, and another marmalade flavoured one with a frog spawn like consistency. Both were much better than they sound - honest. Our booking was just for 2 hours - it seems to get very busy on Friday and Saturday nights. I'd like to have stayed a little longer and will definitely be back again.